Plot your next adventure with this Wallpops World Map! The map is self-adhesive, so it can be applied quickly and easily with no need for messy glue or paste. 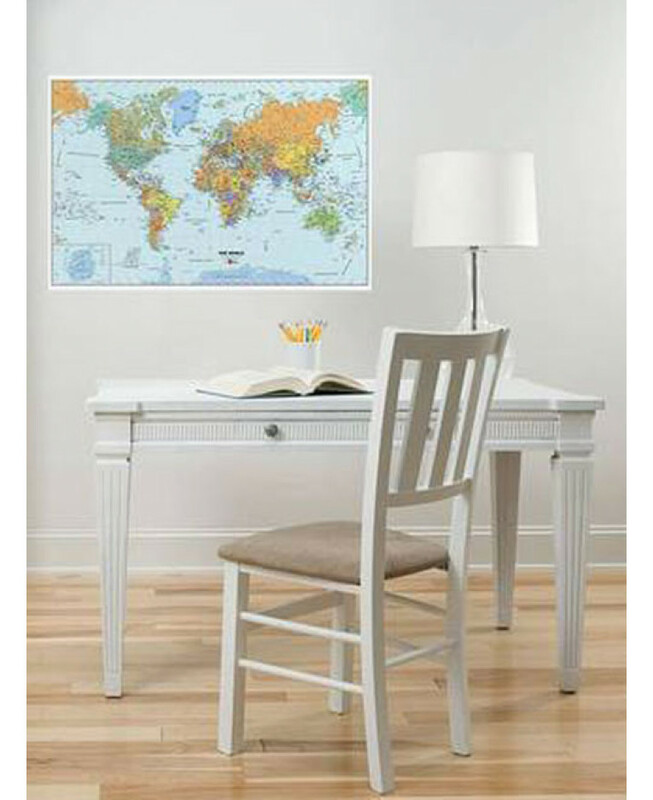 Once the map in set in place, you can write on the laminated surface with the dry-erase pen and wipe clean when you wish. 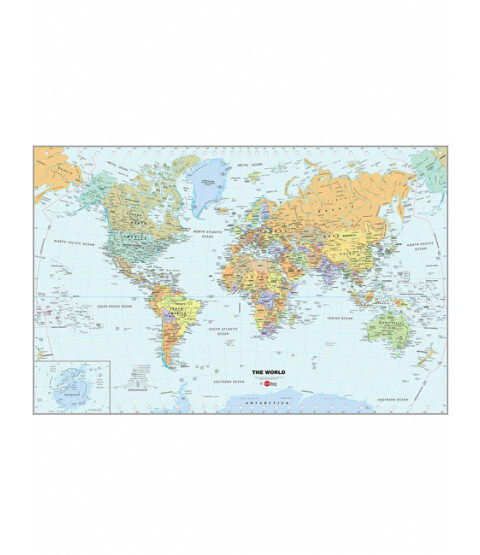 The map features Countries and State Boundaries, Natural Features including mountains, seas and deserts, and Geographic Coordinates such as latitudes, longitudes and time zones.